The modular construction process is compared to building with Legos by many. A home is divided up into modules and assembled onsite in sections. It’s easy to see how the comparisons are made. The power of Legos is in its Creative Sets. A set can come with hundreds or even thousands of pieces. It is up to the creative mind that owns the set to construct a building with the pieces supplied. Imagination is enhanced by designing amazing Lego buildings from the defined list of Lego pieces in the set. The parallels with modular homes can be uncanny. Why Did Lego Go Modular? According to Wikipedia, Modular Buildings is a series that was created in response to feedback and suggestions from the Adult Fans of Lego (AFOL), and the Teen Fans of Lego (TFOL) community, the sets in this series are generally intended for more advanced builders with most sets containing more than 2,000 total pieces and making use of unorthodox building techniques which have not been tried before in official Lego sets. This sounds a lot like the construction of real modular homes. In contrast, most Lego sets are aimed at children and adolescents. The new series is aimed at the 16 and older age group. The Modular Buildings series has been received with positive reviews. They are Lego designers and fans as “toys for adults”. Modular construction is the process of taking a home plan and dividing it up into modules. These modules are then constructed in a factory as unique, self-contained pieces that can be transported individually to a building site. Modular construction came about initially as a solution to help with alleviating the housing shortage following WWII. Modular became one of the solutions to solve the shortage (Sounds familiar to the housing shortage of today). In the early days, each of these modules was simplistic because the technology and the ability to transport large sections of homes to building sites was developing. In addition, building codes were diverse and not standardized. Because of its early roots, modular homes found their initial market in providing solid and comfortable housing at a great value. However, as building techniques have improved, road systems have gotten better for delivery, and energy requirements have tightened; modular has come into its own. However, what still remains is the perception from its origins that is just a bunch of blocks that can be creatively assembled to meet basic home needs. That perception is changing. The Internet and the plan sites, such as ArchitecturalDesigns.com, offer modular plans that will astound much learning about modular construction. Another interesting parallel in construction is between Legos and Mass Customization. The aim of the mass customization concept is to gain a tremendous increase in variety and customization without a corresponding increase in costs. The modular construction industry is working diligently to apply this principle to its home manufacturing process. America is a land of individuality. While homes require a floor, walls, and a roof, home buyers expect to be able to determine what they will look like. Similarly, a challenge faced by the designers of the Modular Buildings Lego sets is that they are not able to work with the full palette of Lego bricks and colors ever produced when designing. Instead, they are limited to the bricks and colors currently in production by Lego at the time of the product design. As an example, for Café Corner, the designer wanted to include a bicycle piece in the set, but at the time, the machine that made bicycle pieces was broken. It had to be fixed in order for the designer to be able to include the piece in his design. With Market Street, the fan designer was limited to only the bricks and color combinations available as ‘active components,’ meaning bricks that were already in production. No new bricks could be introduced. Again, the parallels are uncanny. Architects and designers can create just about any style and any home using modular construction. Part of the challenge that great architects and designers enjoy is the finding creative ways to work within a discipline, a style, or method and provide imaginative, livable, comfortable buildings. Legos started after WWII as a Danish Toy Company. It got its start and grew by adapting to what customers wanted. It has been an evolutionary process that has grown into what we all know today. Lego is known internationally for its creativity. Modular construction is on that same path, but for a slightly different reason. We can’t continue to build like we have always built homes. We just don’t have the people or the resources to do it. 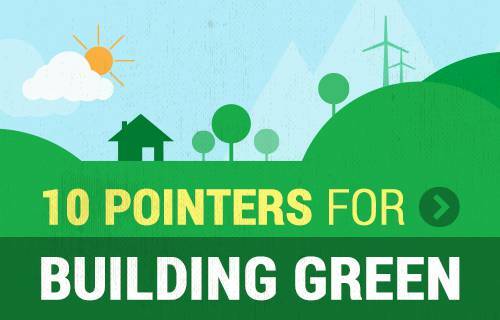 We need our homes to be built better, be built stronger, and to be more energy efficient. At the same time, as Americans, we demand creativity and style along with the ability to customize. That is who we are. Modular provides us with that path forward. Modular construction is the future path of home construction.